Addis Ababa, Ethiopia – 17 March 2017 – The African Society for Laboratory Medicine (ASLM) congratulates Dr. Iruka N. Okeke on her recent appointment as the Editor-in-Chief of its scholarly publication, the African Journal of Laboratory Medicine (AJLM). 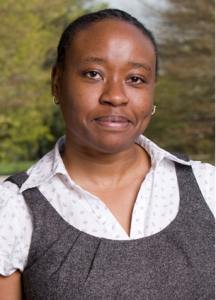 Dr. Okeke joins AJLM for an initial three-year term as its third Editor-in-Chief, succeeding Dr. John Nkengasong. AJLM readers can expect to see the introduction of new article types and sections in the coming year. Dr. Okeke wants AJLM to provide “Africa-relevant, real-world examples for students and practitioners” and plans to expand the contributions of developing scientists to peer review and authorship and to encourage constructive peer reviews. In addition, she wants to ensure that AJLM is accessible in many formats, including via social media. For more information about ASLM, please visit: http://www.ASLM.org. For more information about AJLM, please visit: http://ajlmonline.org/. Established in 2011, the African Society for Laboratory Medicine is a pan-African professional body endorsed by the African Union with support from the World Health Organization, the African Union, the United States (US) Centers for Disease Control and Prevention, the US President’s Emergency Plan for AIDS Relief, the World Bank, the Clinton Foundation, UNAIDS, and others. ASLM is focused on improving healthcare by strengthening diagnostic testing. Laboratory testing is pivotal in disease diagnosis, epidemiological surveillance, outbreak investigations, initiation and monitoring of treatment, as well as research and development. ASLM will address these challenges by working collaboratively with governments, national, regional and international organizations, implementing partners, the private sector and other agencies to achieve its Strategic Vision goals by 2020. The African Journal of Laboratory Medicine (AJLM) is the official scholarly journal of the African Society for Laboratory Medicine. As an international, peer-reviewed journal, AJLM takes a broad perspective on the role of the laboratory and laboratorians in clinical care and public health efforts. AJLM provides a much-needed forum — with a specifically African frame of reference — for laboratory professionals to communicate with each other and with other biomedical scientists and clinicians.